Balance & Beyond is a wellness event series in New York with the purpose to educate, inspire and engage. We bring together a highly engaged audience of wellness advocates and influencers and we collaborate only with a few select brands that are paving the way for enhanced wellness. The exclusive opportunity at our events is for one brand only. You will get a speaker up on stage as well as a branded display table or activation for attendees to experience. Come join us at the event and set up a branded display table for the attendees to experience, sample, taste or take home! Need something smaller? Join the goodie bag for a great opportunity to put your products in the hands of the wellness community of New York. Let’s talk! We love ideas and we are open to work with you to make this experience work in the best way possible for you. "The team did a great job hosting the Balance & Beyond Gut Health and Probiotic deep dive event for Thryve Inside. They did a fantastic job in sourcing top experts in the field. The attendance was phenomenal and had one of the strongest engagements I've seen from an event. 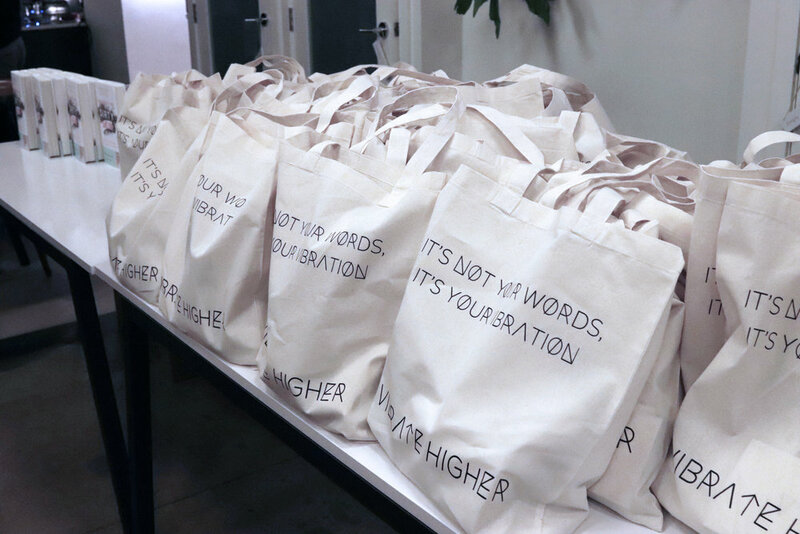 They also did a great job putting together all the swag, goodie bags, and materials for the launch of our successful event!"